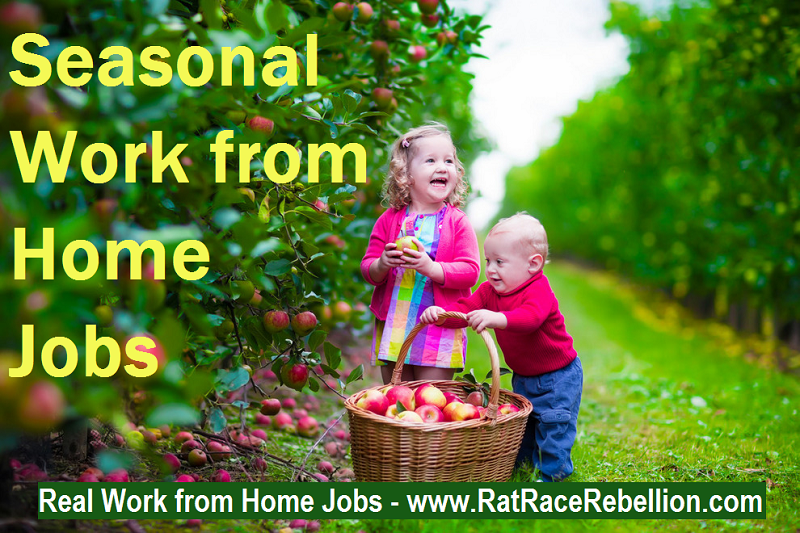 With the holidays looming and budgets tight, home-based seasonal jobs can offer a good way to generate extra cash. Work at home Customer Service Agents are particularly in demand during holiday crushes, as orders pour in for everything from flowers to pizza to catalog merchandise. Positions pay on average between $8 and $15 per hour, and sometimes more with incentives. Maybe not enough to get rich, but certainly worth a look as unemployment and the “recession that has ended” grind on. • 1-800-FLOWERS, as it often does during major holidays, is looking for home-based agents in selected states. For details, see http://bit.ly/tEDdC8. • Arise, which hires home-based agents as independent contractors, is actively seeking inbound customer service and technical support agents for a major tax software company. For more, see http://bit.ly/s4TSaz. • VIPdesk, which hires home-based agents and concierges as employees, and often offers paid training, seeks customer service agents to handle their Eddie Bauer account. For details, see http://bit.ly/qQzzYP. • Alpine Access announced recently that it seeks 1,000 home-based Customer Service Representatives. To apply, see http://www.alpineaccess.com/en/. Work-at-home positions are always popular with job seekers, but now the demand is especially high. Here are some tips for landing that seasonal slot, and keeping your options open for extended employment, too. 1. Apply early! Don’t wait until the eleventh hour and expect these positions to be open. Not only do jobs fill quickly, companies often need time to train new hires so they’ll be proficient before the holiday rush begins. 2. Be flexible and available. Don’t be an “hour diva,” setting lengthy restrictions on when you can work. When a company hires seasonal help it’s because they’re inundated with business. Whenever possible, let the hirer know that you’re willing to work as many hours as they need. Everyone likes flexibility in their work schedules, but if you can say “yes” to weekends, evenings, or even holidays you’ll stand out from the crowd. 3. Let your positive attitude shine through. Happy as the holidays themselves may be, the time leading up to them can be extremely stressful (especially for frantic shoppers, who sometimes may be short on patience). Let hirers know that you can handle high-stress situations with diplomacy, tact and a positive attitude. 4. Showcase your customer service skills and experience. As mentioned, most seasonal jobs involve customer service. If your background includes handling incoming calls, email, or other consumer contact – especially in a sales environment – be sure to showcase it in your resume and application. 5. Once you get your foot in the door, perform, perform, perform! A great impression is your quickest route to a glowing reference, a job next season, or a longer stay with the company. This entry was posted in Seasonal Jobs, Work at Home Jobs and tagged 1-800-FLOWERS, Alpine Access, Arise Virtual Solutions, VIPdesk. Bookmark the permalink.